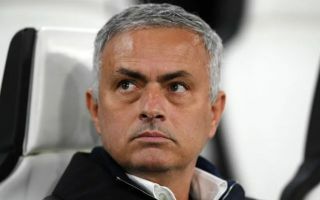 Former Manchester United manager Jose Mourinho reportedly wants the transfer of young Tottenham defender Davinson Sanchez as he lays out his demands for taking the Inter Milan job. The Portuguese tactician is seemingly open to a return to his former club, but wants them to keep hold of Mauro Icardi and sign a top defender in the summer, with Sanchez a priority target of his, according to Don Balon. The Colombia international has impressed in his time at Tottenham, looking one of Europe’s top young defensive players in recent times. In truth, one has to question if it would be that tempting for Sanchez to leave an up-and-coming side like Spurs right now to play for a somewhat out-of-sorts Inter side under a manager without the best recent record. Mourinho had a difficult end to his time at Man Utd, and seems a risky appointment for Inter or any other top club at the moment. Quite why Sanchez would want to put himself through playing under the 56-year-old with his recent habit of falling out with players and damaging dressing room morale is beyond us.